Further demand surges for Australian Silver Coins has prompted the Perth Mint to once again suspend production of a number of key product lines, so that they can fully concentrate on fulfilling advance orders for 2014 coins. 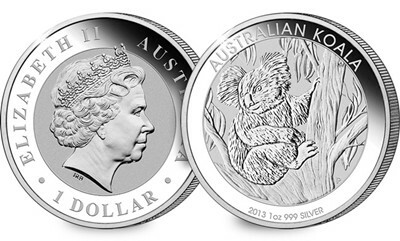 The suspensions have included the temporary halt on production of one of the flagship Australian silver bullion coins – the 1oz Silver Koala for 2013. Currently the restrictions only apply to silver but there is the possibility it could be extended to gold in future, which has already occurred earlier in the year.